Three Cosmetic Injectables You Might Not Know About - Doctor Hermann M.D.,P.A. Women are more familiar than ever before with cosmetic injectables like Botox, Juvederm, Radiesse, and Restylane that are specially formulated to reverse signs of aging on the skin such as wrinkles, lost volume, and facial folds. As cosmetic technology continues to evolve, new injectables receive FDA-approval on a regular basis. Below you can find a brief description of three injectables you may not be familiar with yet. 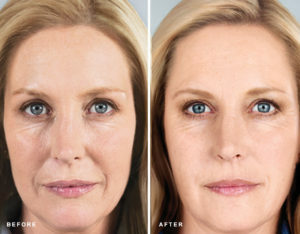 Sculptra Aesthetic is a unique dermal filler that approaches skin rejuvenation in a different way than any other filler on the market. Rather than providing immediate results that may not look natural and subtle, Sculptra works over a series of treatments to gradually add volume to the face. As this new volume develops over a few months, patients can restore cheek volume, soften harsh cheekbones, contour the jawline, and fill in deep folds that run from the nose to the mouth. Amazingly, the results remain visible for at least 25 months. The Kybella does not target wrinkles and other skin imperfections, but instead works to eliminate the stores of fat that create the appearance of a double chin along the jaw and neck. The double chin, also known as submental fullness, is a very frustrating condition for men and women alike, and Kybella offers a simple and non-surgical solution to remove submental fat and restore the neck’s slender, attractive appearance. A series of Kybella injections use deoxycholic acid to dissolve extra fat in the chin and neck area while also tightening and smoothing the skin above the fat. The results are visible after just a few months and can remain permanently. Belotero Balance is a dermal filler that distinguishes itself from others with the ability to be injected superficially in the skin without leaving a bluish tint. The delicate and flexible formula is perfect to treat frown lines between the eyebrows, crow’s feet around the eyes, lip lines, back of the hands, and vertical lip lines. To experience the incredible results achieved with any of these cosmetic injectables, simply call (813) 902-9559 to schedule an appointment at Hermann Wellness in either Tampa or St. Petersburg. Dr. Hermann and her team are expert injectors with the experience to deliver the results you want.